See also a selection of major events in Paris in 2018-2019. Thanks to its cultural vitality and events, the uniqueness of its major artistic creations and shows, North-East Paris offers a multitude of activities to do all year long. Rediscover or live the major events that highlight the region of North-East Paris. See also : alternative creative places. Consult our page dedicated to contemporary art, or see a circus show : both contemporary and traditional. Chek out our page about dancing in Paris. 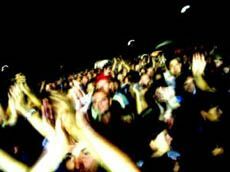 Enjoy evening events and budget-friendly concerts or attend to hip hop festivals. Looking for some ideas for your vacation? Check our what to do during school vacation page! Europain Intersuc Paris, International show on bakery, pastry, catering (professional show). Africolor is firmly rooted in the whole of Seine-Saint-Denis, with performances in 15 towns in the department and a programme featuring up-and-coming performers from the continent of Africa and great music. With its thirty or so concerts, Africolor lives to the beat of these colourful forms of music. Activities for the children !